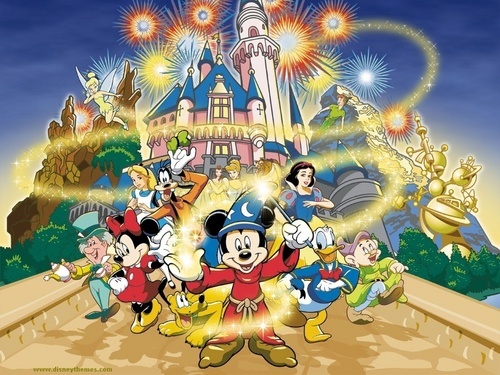 Mickey mouse and friends wallpaper. Mickey mouse and friends wallpaper.. HD Wallpaper and background images in the disney club tagged: mickey mouse minnie mouse donald duck goofy disney characters wallpaper. This disney wallpaper contains anime, komik, manga, and kartun. There might also be jendela kaca patri. Thanks :) I'm happy you do!